Welcome back for the last day of the Sewing Olympics! Finish the quilt top! 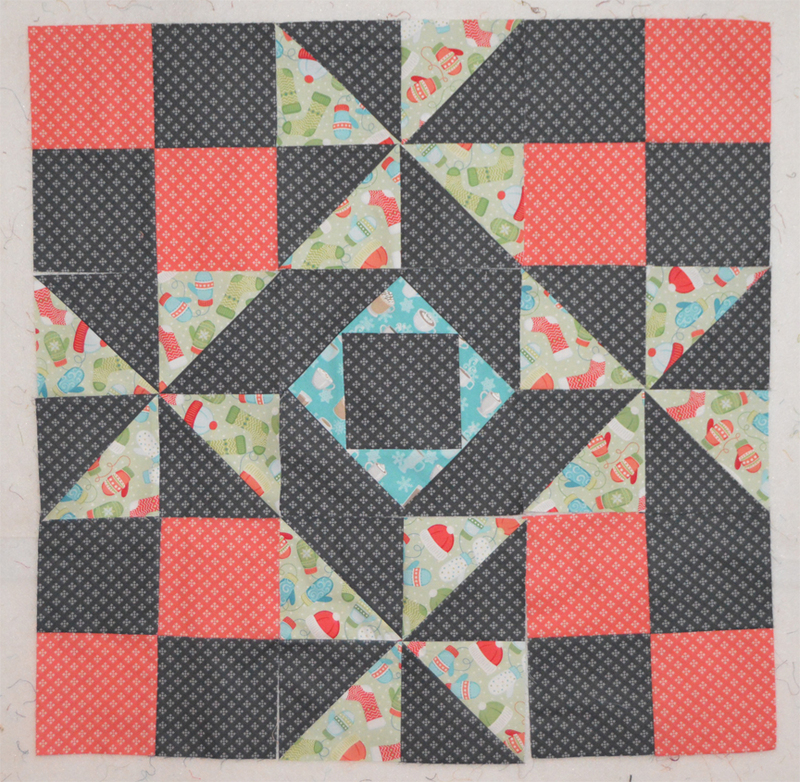 Today we'll be joining the blocks and adding a border to complete the quilt top. 1. Lay out the (9) blocks into (3) rows of (3) each, noting orientation of your four-patch blocks. Sew the blocks into rows. 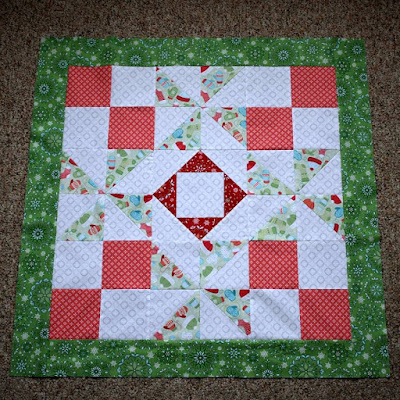 Press the seams out in the top and bottom rows and toward the center in the middle row. This will allow your seams to nest when you join the block rows. 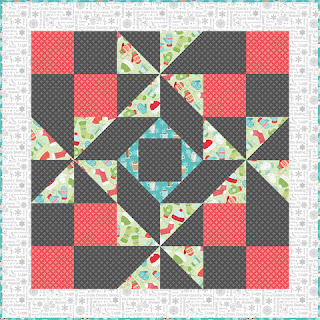 Sew the block rows together to complete the quilt center. 2. Cut (2) 3-1/2" x 27-1/2" border strips and (2) 3-1/2" x 33-1/2" border strips. 3. 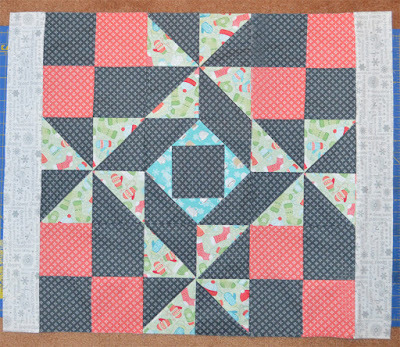 Pin a shorter border strip to a side of the quilt, with the pieced center facing up so you can make sure the pinwheel points don't get cut off. 4. 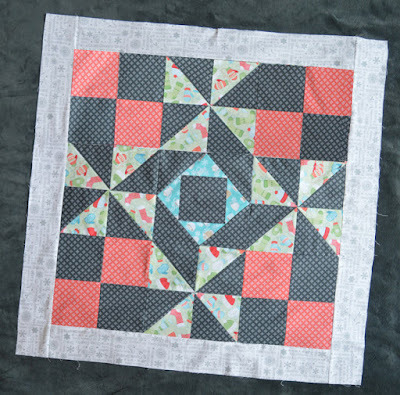 Stitch shorter strips to opposite sides of the quilt and press borders. 5. In the same way, add the longer borders to the top and bottom. Your Sewing Olympics quilt top is complete! To finish, layer the backing right side down, batting, and quilt top right side up and baste layers together. 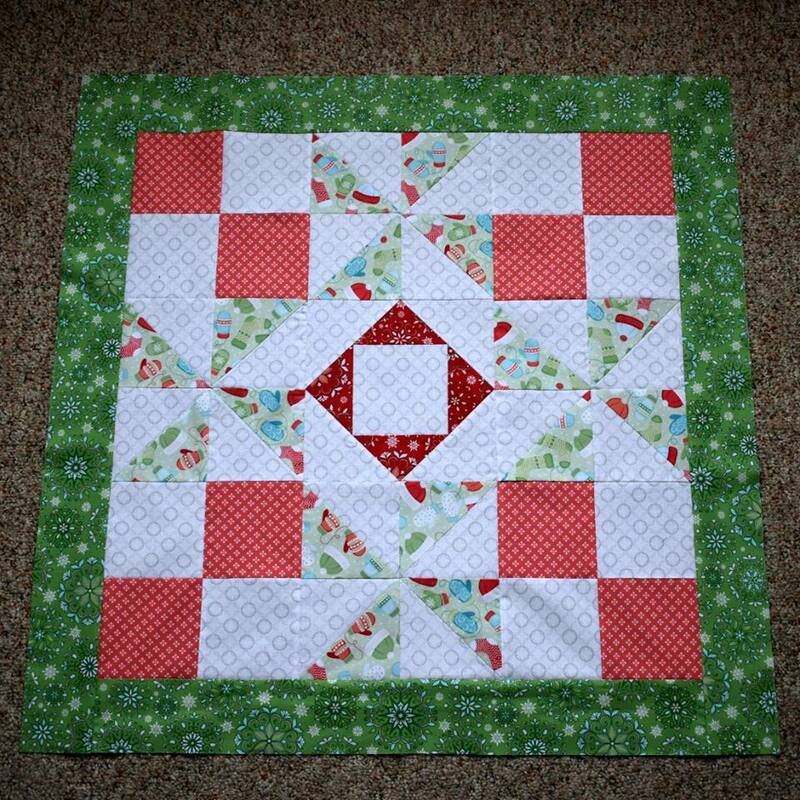 Quilt as desired and bind using (4) 2-1/4" x WOF strips. Enjoy! To enter our final sewing event, complete your quilt top using Benartex, Kanvas or Contempo fabrics. Send a photo of your block to socialmedia23 (at) gmail.com with the subject line "Sewing Olympics Day 5". Your sample should use Benartex, Kanvas or Contempo fabrics. Include your full name and mailing address. Contest open through Monday, February 19th at 11:59 pm EST.